DON'T WAIT TO ENROLL IN A CLASS!!!!! LTC Classes are held every 1st Saturday of each month at the Lone Star Cowboy Church and are approximately 4 hours long. We start promptly at 9:00 AM the day of the class. 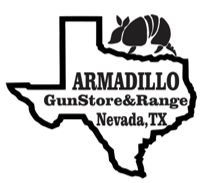 Shooting proficiency test is conducted at Armadillo Gun Store and Range the same day as the class and is $30 for Current Range Members and $45 for non-range members non-range members receive a 1 year range membership with the proficiency test. We do encourage you to take your shooting proficiency early. Please call to schedule.